NFL News - #HallOfFame inductees - #Farve, #KennyStabler, # - #BrettFarve’s famous last stand in the #Vikings - #Saints 2010 NFC Championship game - #RGIII named starting QB in CLE - The potential redemption of RGIII, #JoshGordon and #TyrellePryor - #HueJackson’s history in Oakland and the infamous, terrible trade for #CarsonPalmer - WR #JordanMatthews PHI - Out 2-4 weeks with knee injury. Sigh. 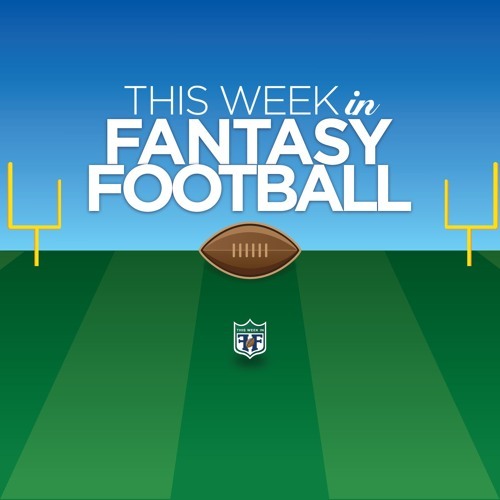 - Ball control game in PHI will give #RyanMatthews a shot at 20 touches per game - #HallOfFameGame and the Cement Field Fantasy Report - Tight End Drafting - Duh, #Gronkowski. The only question is whether to spend a first-round pick on him. - What will #MartellusBennett’s addition to the NE offense mean for Gronk? - #JordanReed WAS the clear #2 - #GregOIsen CAR will get tons of targets in the #Panthers’ powerful O - And … the rest. - #BlakeBortles JAX - Will he again delivery a top-10 performance? - Can #JimmyGraham find his mojo in the #Seahawks offense this season? Or is his marriage to #RussellWilson be ill-fated? The TV Report - #StrangerThings - A worthy watch. Great storytelling and a neat, nostalgic 80s vibe. - #TheNightOF - HBO’s crime procedural mini series is engrossing, deliberate and chilling. That's Drew Bledsoe. Not Tony Eason. Probably due to the blackout.